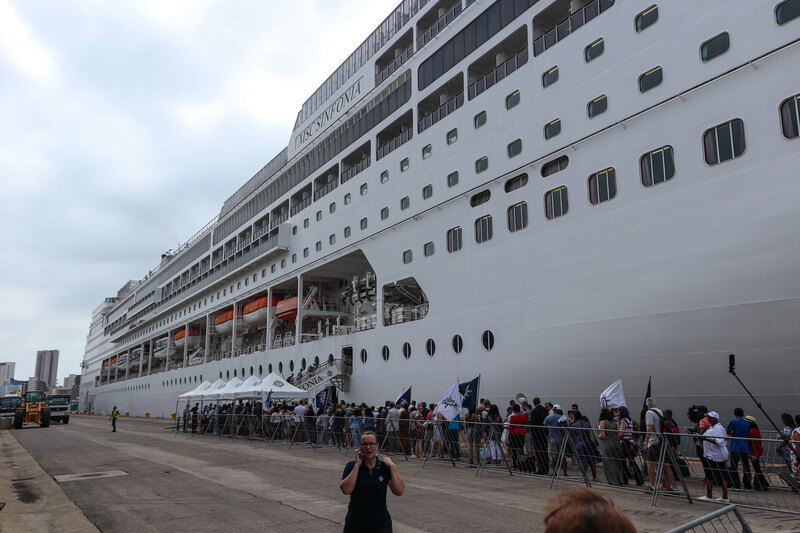 With over 2000 passengers waiting to board the MSC Sinfonia you would think the embarkation at Durban port would be a tedious, but I assure you that MSC makes the process as efficient as possible. 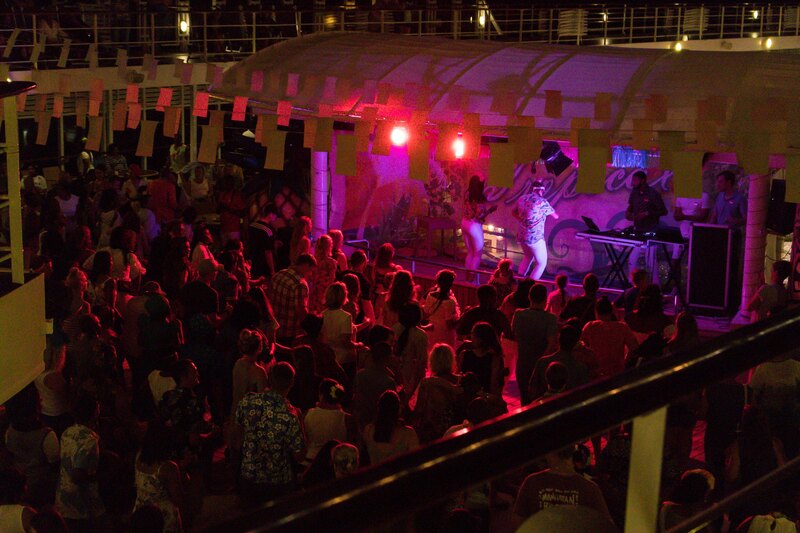 Welcome drinks, family boarding pictures and good music set the tone for the embarkation process. 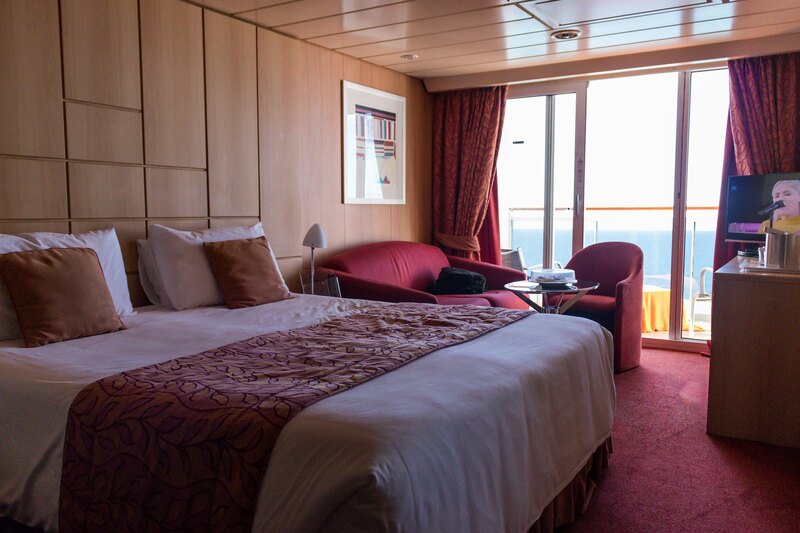 The Balcony Suites found on the upper decks can offer some of the highest comforts on the ship during your ocean journey, like waking up to a morning sunrise with a light breakfast knocking at your door. 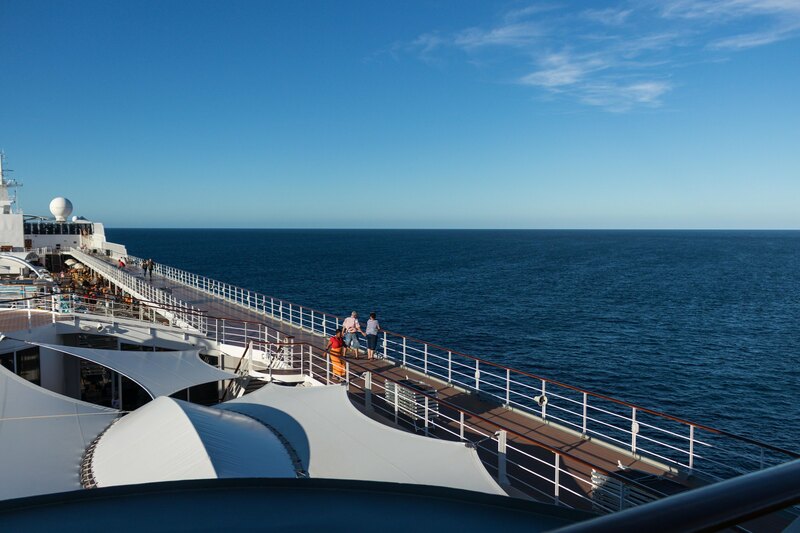 For those who love their sunsets, expect nothing less on the upper decks. So take pictures to you hearts content. Tender boats to Portuguese Island can start early in the morning depending on the weather. 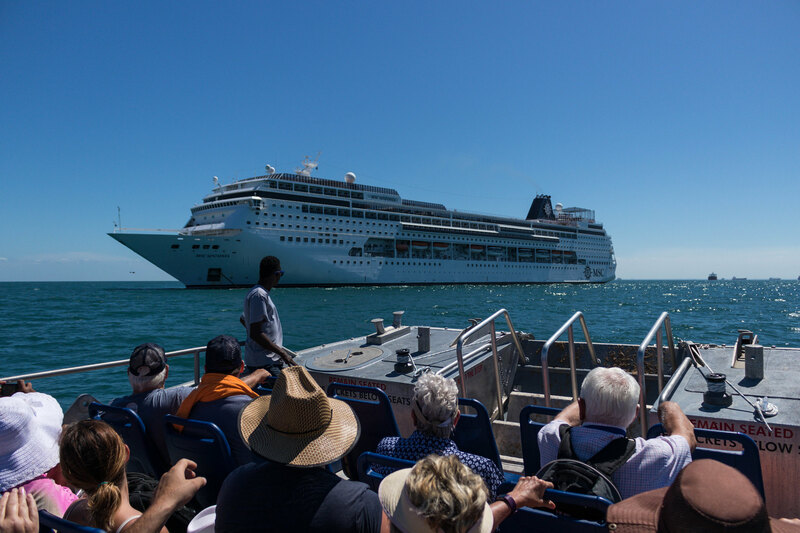 Each passenger will be issued a ticket to determine when it’s their turn to leave for the island. This is definitely an exciting time for most as you get to see the entire ship at anchor. 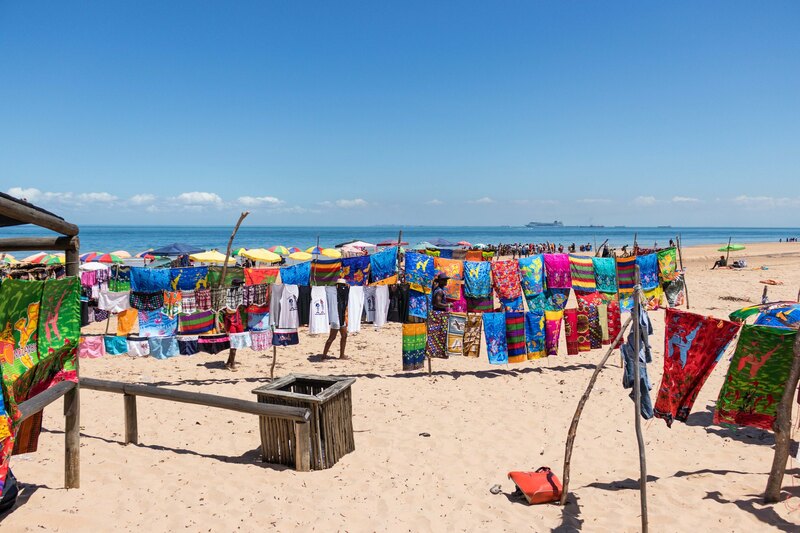 Aside from the many shorex options available on the Portuguese Islands, the market truly is a beautiful sight to behold, a perfect place to get your loved ones a memento from the island. Just be mindful that alcohol and wooden items bought on the island are not allowed on the ship and will be quarantined until you disembark. 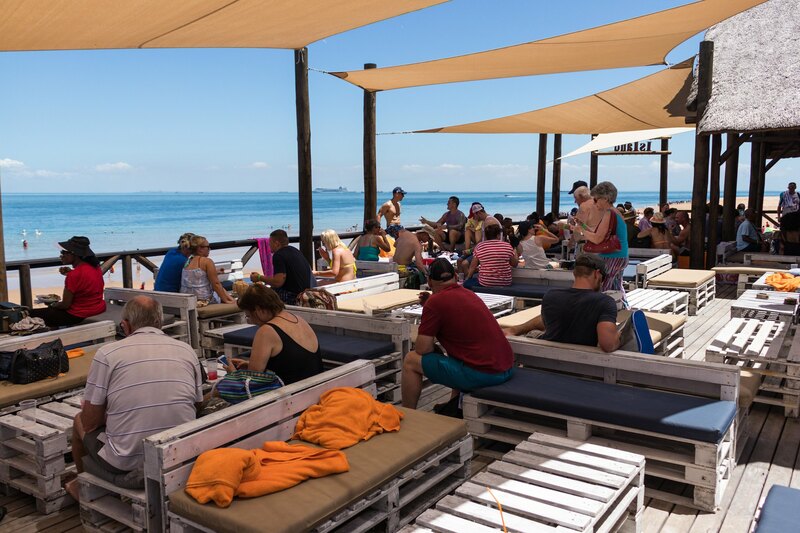 Lunch in the form of a ‘braai’ aka barbeque is made available by MSC to all passengers in lunch area on the island, so pick a spot and enjoy. 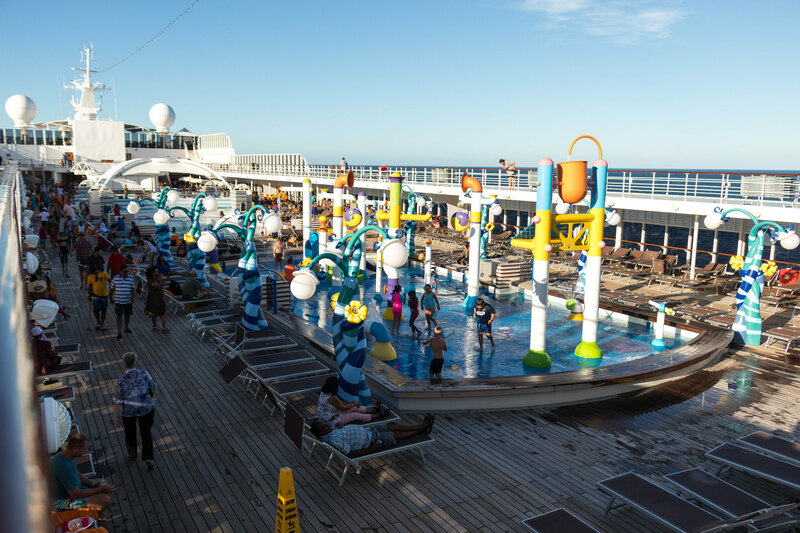 Sunbeds, Pools, Jacuzzis, and Water Parks; a great place to spend on a beautiful sunny day with your family or maybe you feel like relaxing by yourself and putting your feet up with book or cocktail in hand. 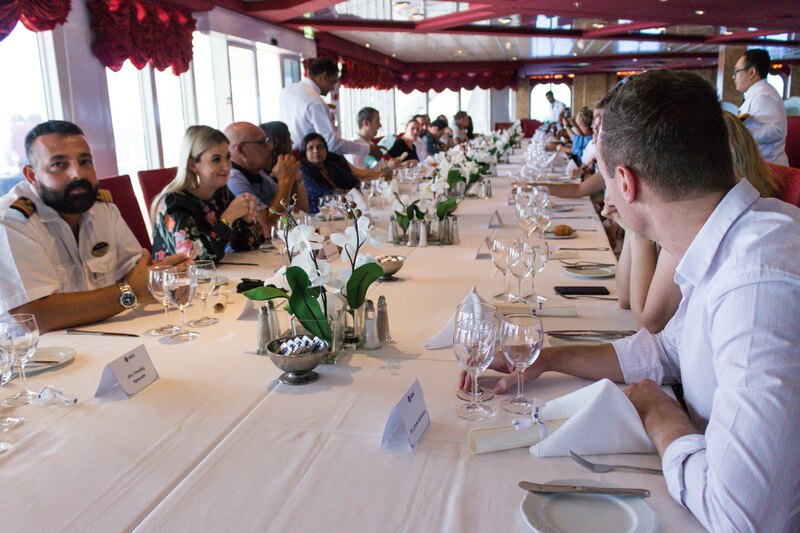 The Il Galeone, one of two restaurants found on the lower desks of the ship with a menu that changes each evening and options that cater for every palate. 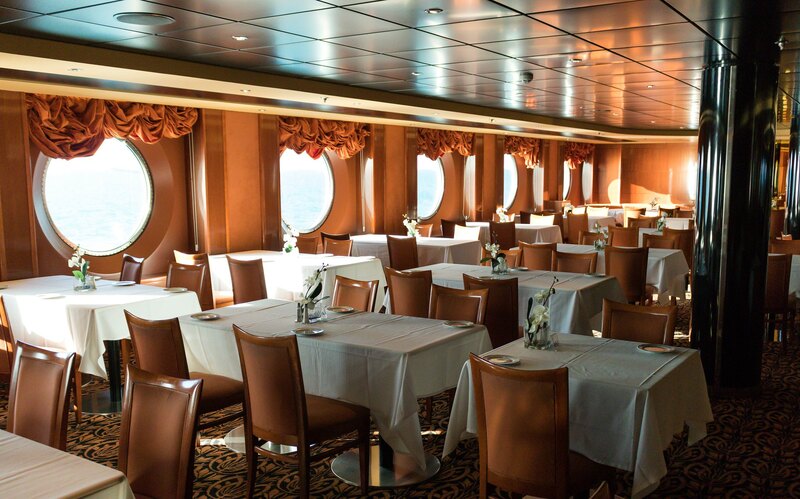 Expect a more formal style dinner seating depending on the ships theme day. Spending lunch time with the Captain and his crew was indeed a special privilege, getting to knock elbows with those who keep the Sinfonia running. 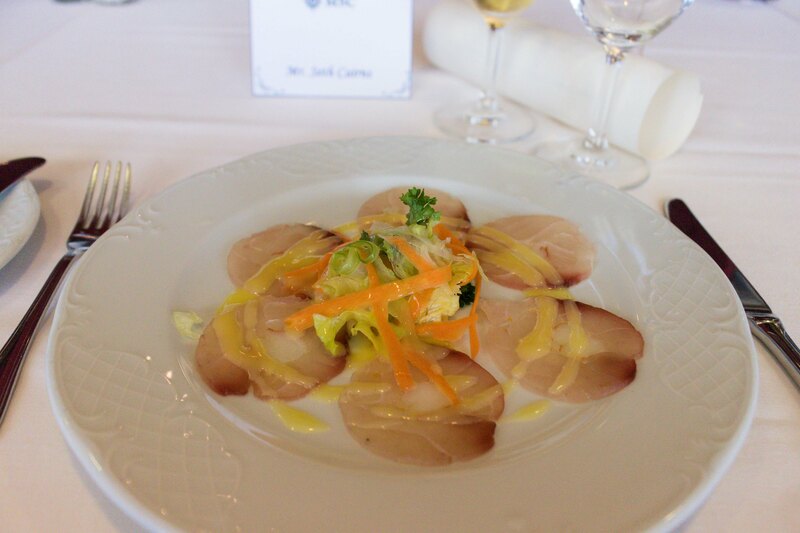 A prawn carpaccio, with a lemon dressing and green salad were just some of the fine dining experiences we got to sink our teeth into. 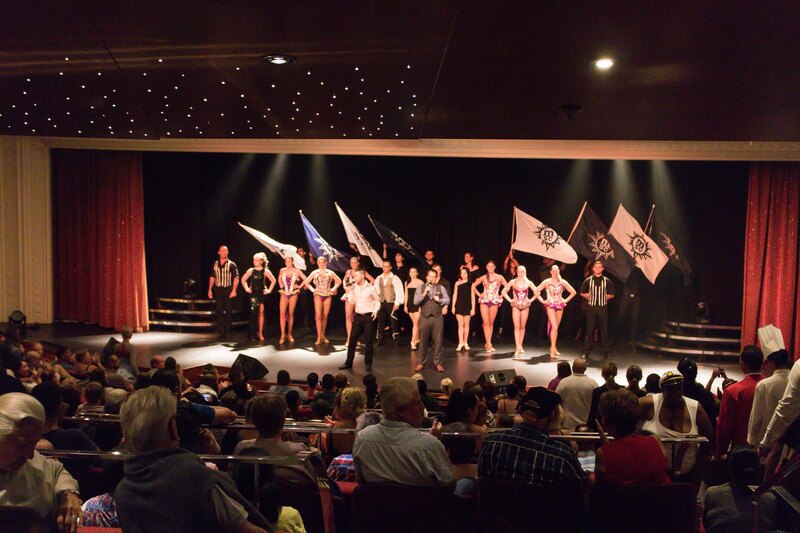 A big thanks to MSC cruises for hosting us on this wonderful voyage.